Eric was born and raised 1/2 mile from the Medicine Shoppe. He bought the pharmacy in May of 2013, but has held every job there is here since he started in 2002. He is a proud UW Badger, but even prouder dad and husband to his 2 kids and his wife. 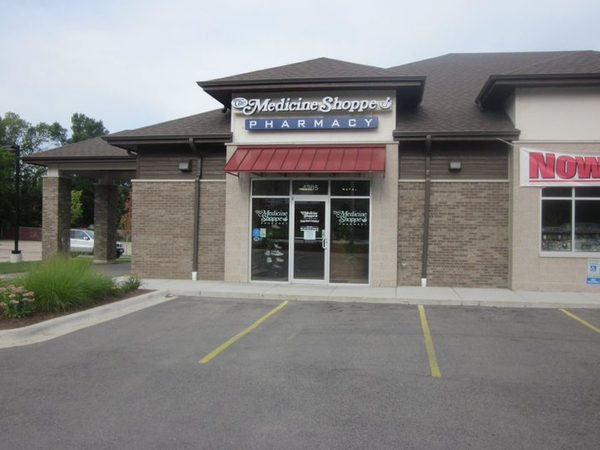 Roberta comes to the Medicine Shoppe with over 20 years of independent pharmacy experience. She loves to get to know her patients and truly become a part of their health care team. Cathy has been with the Medicine Shoppe for over 3 years and is a wealth of knowledge as she, too, owner her own pharmacy earlier in her career. Pharmacy seems to run in her family as her two daughters both were employed by the Medicine Shoppe before moving on to pursue other careers. Julie is usually the cheery face you see when you walk in the door or the voice you hear greeting you on the phone. Her mission is to give great service and our patients would agree. Lisa comes to the Medicine Shoppe after years of caregiving for a family member. She brings to the Medicine Shoppe a caring and do-everything attitude. Ben is responsible for all of the Medicine Shoppe's pre-filled medication cassettes. He is a hard worker who enjoys his role in keeping our patients safe and independent. Emily is a part-time technician with the Medicine Shoppe in addition to being a full time mom to her 2 young kids. What she lacks in hours at the Medicine Shoppe is made up in her hard work and willingness to fill in wherever and whenever needed. Darlene is the longest tenured employee at the Medicine Shoppe. She handles everything Medicare and patient account related, but ask her about her grandkids and see where her true passion lies. Vanessa is a recent Monona Grove High School graduate currently attending Marquette University as a Pre-Med major. She enjoys coming back and seeing all our patients during her breaks from school. If you live in Monona and need a medication delivery you will most likely run into Paul. Paul is our longest tenured delivery driver and has gained quite the reputation as great delivery driver to all of his regular and not-so-regular deliveries. John is well known for his volunteer work around the community, but also makes time to do deliveries for the Medicine Shoppe. He is always willing to lend a hand and go the extra mile for our patients. Jerry delivers for the Medicine Shoppe a couple of days a week and his time as a mailman before retirement has him recognized on many of his stops.